Research are a new element of Pokémon GO. At all times, you can complete a various amount of missions. These missions are based on simply doing activities within the game such as winning Gym Battles, catching specific Pokémon and so forth. These come with various rewards such as Rare Candy, Potions, TMs and more. Field Research is the more general of the Research tasks. These are obtained by spinning PokéStops. Each PokéStop will give a specific research task to all players each day, but Gyms do not give them. The tasks players receive is the same and the PokéStop changes it up each day. Players can store up to 3 Research tasks at any one time, but can delete any they wish. They can get that task again by spinning the same PokéStop. Each Field Research task has a special reward, decided at random, for completion. These include items such as Rare Candy, Poké Balls, Berries and even Pokémon encounters. These Pokémon are over Level 15 with IVs of 10 or higher in each stat. Each task will have the same rewards for all players. 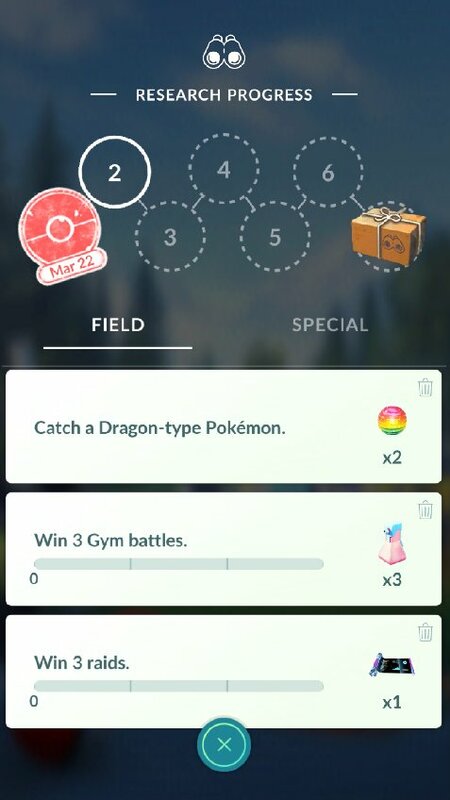 Field Research can be completed in any number in any way players like, however for the first bit of Research completed each day, players will receive a special stamp. 7 stamps lead to Research Breakthroughs. Special Research is a story mode featuring the story of Professor Willow and the task to find rare Mythical Pokémon. This is accessed when Professor Willow has an icon notification at the bottom right of the screen indicating he has a task for you. There are 8 different elements of the story, each with various tasks to complete, all of which getting more difficult with each stage. 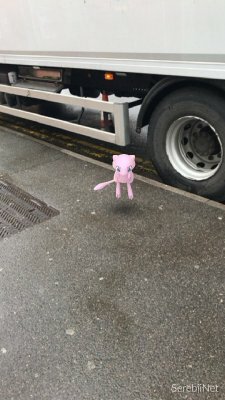 Once complete, players then have a chance to get Mythical Pokémon including Mew. Players can only go through each Special Research story once.